These are not mine but I found this awesome image on the web. 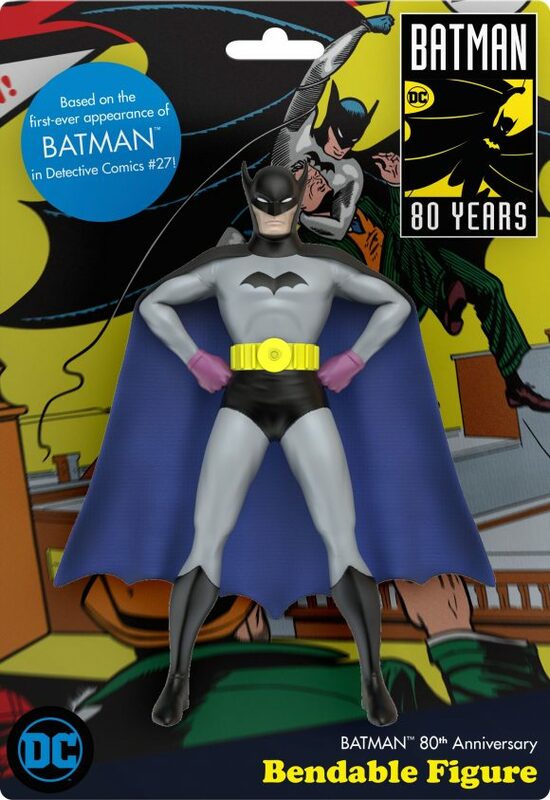 Anyway, NJ Croce’s the big player these days on the bendable front and they’ve done a great job with its Batman ’66 and Animated Series offerings, let alone its various DC comics and movie series. Packaging will only be available in 2019 or until supplies last, the company says. 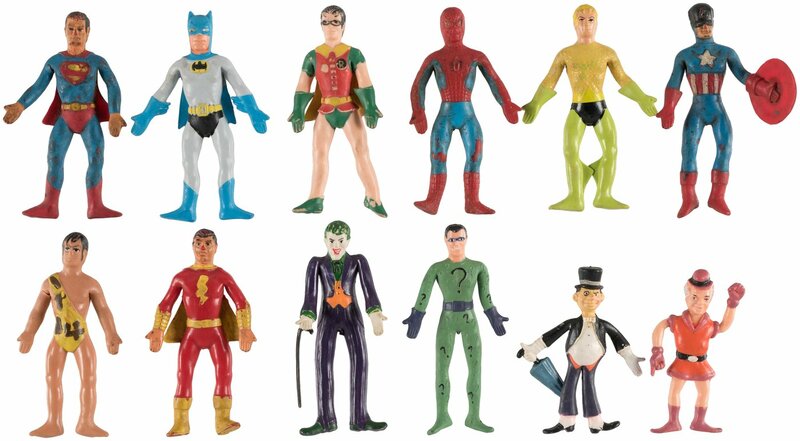 The 5-inch figure — which will be on display at 2019 Toy Fair, Feb. 16-19 at New York City’s Javits Center — is already available for pre-order online. You should also check with your local comics shop. It retails for about $8.99. That’s a pretty awesome figurine. Which online could I preorder it? Love it! Wish they would have made the gloves purple on the package.